Kokoyakyu – High School Baseball. 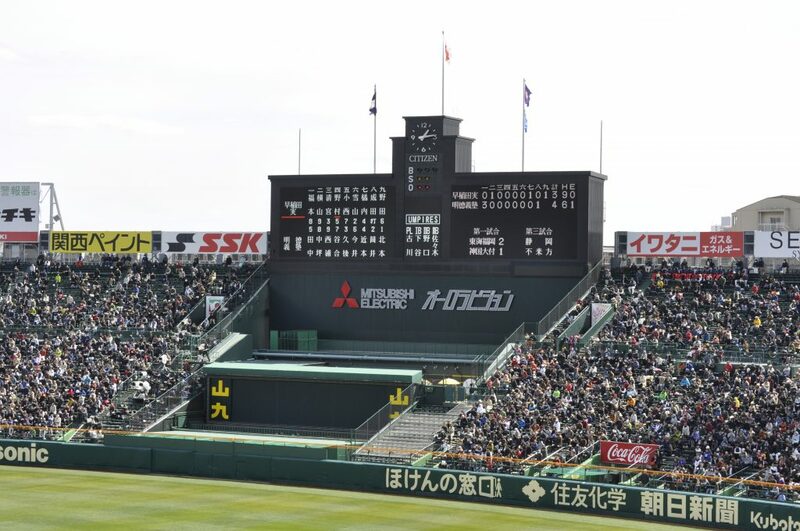 Each year 4000 high schools play off to represent their school at the tournament held at Koshien Stadium, just outside Osaka, Japan. The tournament is simply known as “Koshien”. 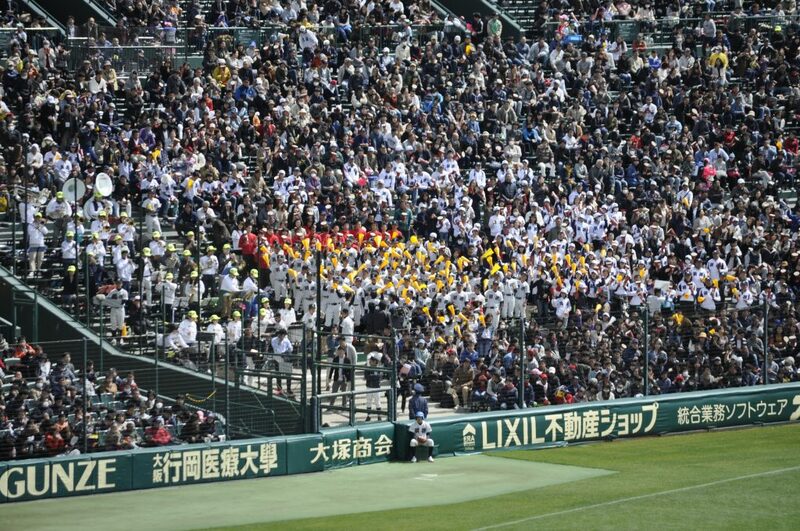 Playing at Koshien is every young players dream, just like a cricket player wanting to play on the SCG or MCG. Loose just 1 game and you are out and your dreams are shattered. The tournament is so popular that it is watched by up to 60 million TV viewers daily. There are 2 tournaments each year, 1 in August and a smaller invitational tournament in March. 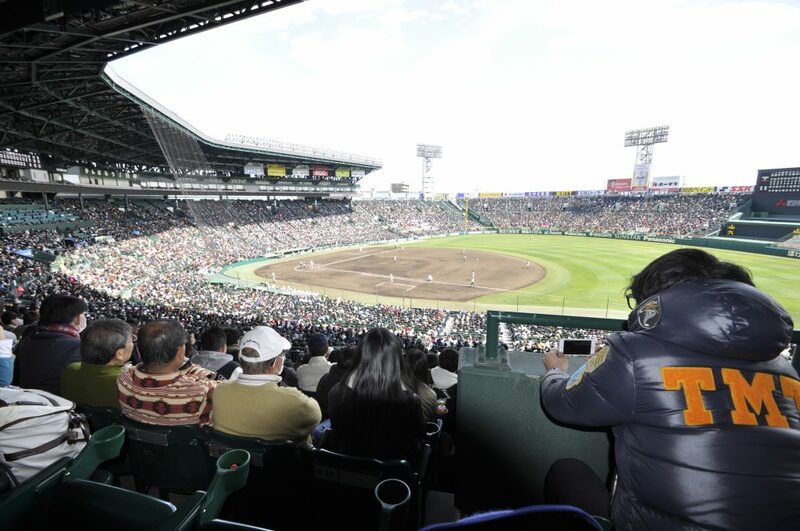 The Koshien stadium seats over 40,000 spectators and there can be times when it is difficult to find a seat, especially when local teams of the favourite are playing. The training is relentless, 32 hours a week is normal. Each team has their own cheer squad and band. The cheer squad take their role as seriously as the players. If the teams looses the cheer squad blame themselves for not cheering enough.